Ceiling lamp with direct and diffuse light. 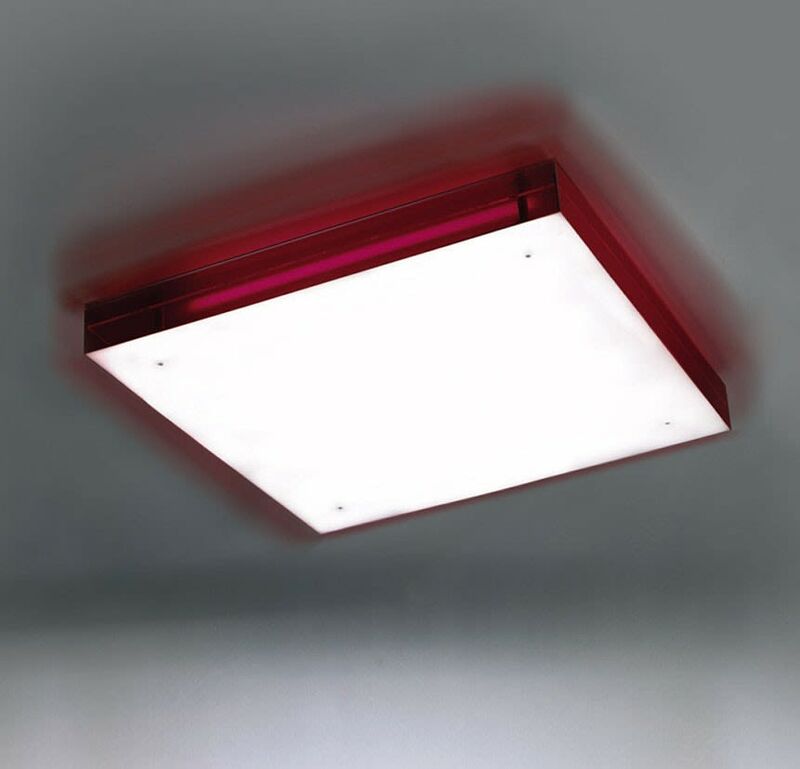 Available in three finishes: transparent red, transparent smoked or opal white methacrylate. All with an opal white shade. It comes in two sizes. Can be supplied with dimmer. The interior designer Jaime Beriestain (Santiago de Chile, 1969) opened his studio in 2002 in Barcelona, having worked for over a decade in his home country. Right from the outset, his name has been linked to major design production companies, such as DAC and the Hotel Division of Gastón y Daniela Contract. In the year 2010, he opened a showroom in the heart of Barcelona and in 2011 he began focusing on international projects which took his work to India, France, Chile and Switzerland. Jaime Beriestain designed the Box collection of architectural lamps for the B.lux Group.